Beauty Essentials with Sephora and Upper Canada | La Petite Noob | A Toronto-Based Fashion and Lifestyle Blog. I'll admit it: I'm an absolute beauty product fiend. I love trying and testing out new products, and no shopping trip is ever complete for me without browsing the aisles in Sephora. As much as I love adding to my growing makeup collection, I do have a few beauty essentials that are always found in my makeup bag. Recently I ran out of all of my makeup must-haves, so an emergency trip to Upper Canada was in order. I love how Upper Canada has a beautiful Sephora, where I can find all of my go-to products in one stop. With my beauty emergency solved with one visit to the mall, I'm happy to be able to share my all-time beauty essentials with you. I was a bit late to the highlighter craze. As someone with oily skin, I never understood why I would want to add more glow to my face. I soon came to realize that not all highlighters were created equal, and I needed to find one that had more of a natural finish, as opposed to glittery and sparkly. 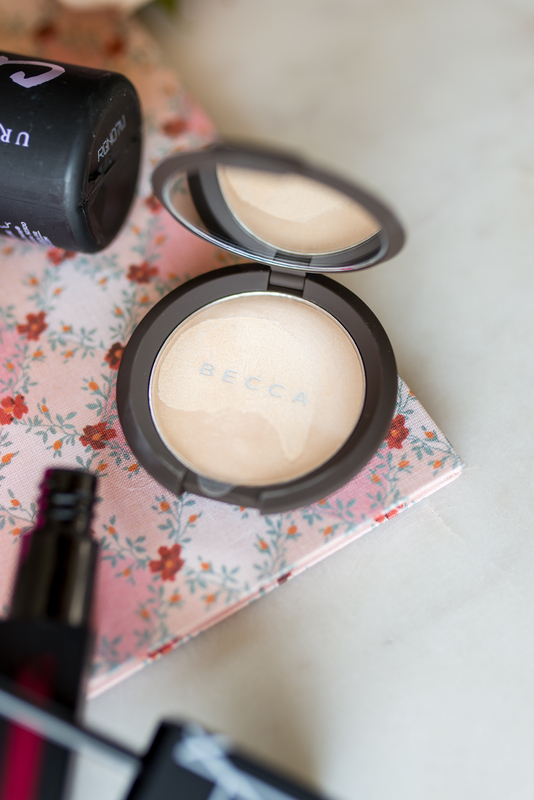 Enter Becca's Poured Highlighter in Moonstone. This creamy product easily blends into the skin to reveal a healthy, natural highlight - very 'glowing from within.' I now understand how flattering highlighting the high points of your face can be and am never without my cream highlighter. 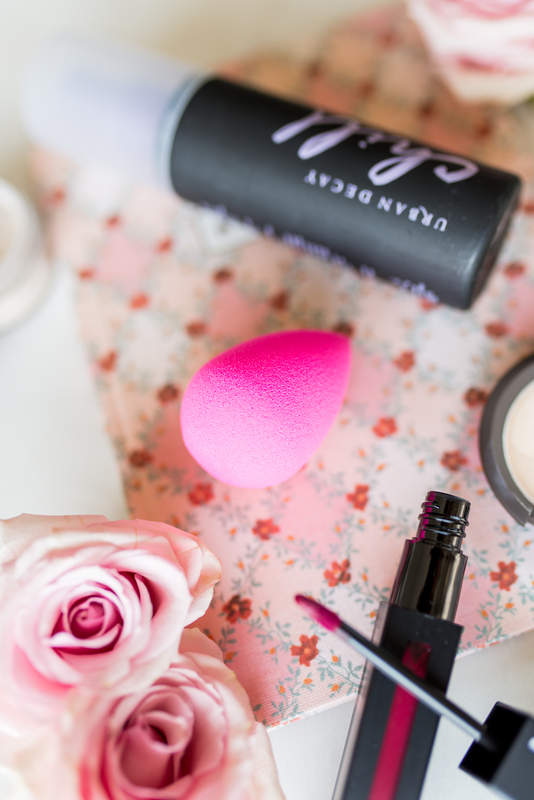 Goodbye excess brushes, hello Beauty Blender. As soon as I incorporated this magic tool into my routine, I was able to eliminate almost all of my face brushes. 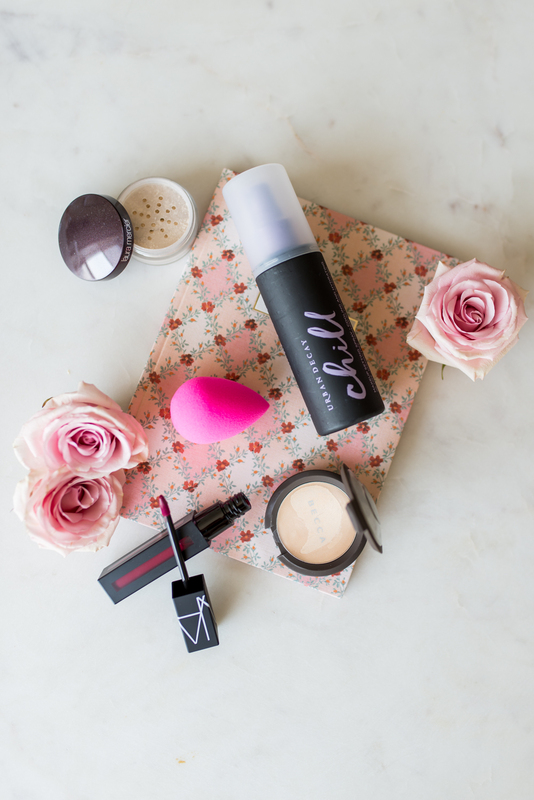 A beauty blender is a tool that, when damp, can effortlessly blend in any foundation, concealer, and cream-based product. I actually even use my beauty blender to apply my cream bronzers and blushes! Ever since discovering the beauty blender, my makeup routine has become much quicker (since I'm not switching from one brush to the next) and my face makeup is always looking flawless. One of the drawbacks of having oily skin is that my makeup doesn't seem to last all day, or will crease right after I apply it. 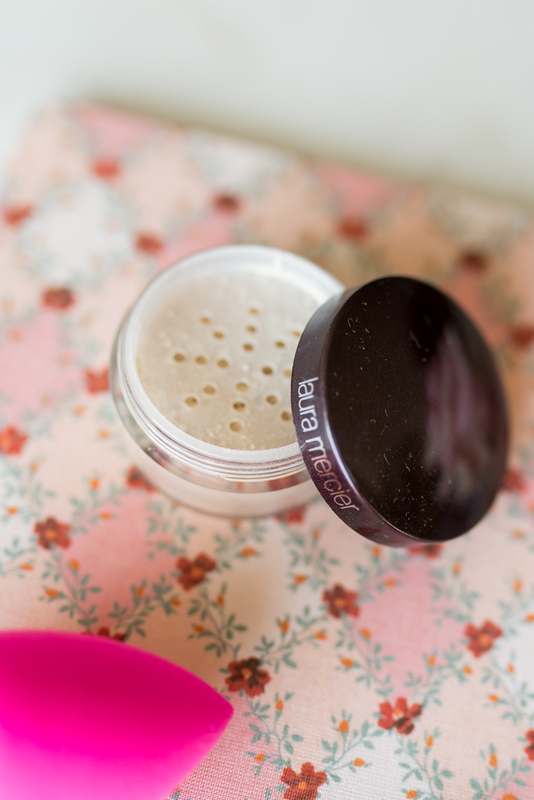 I always like to have a jar of Laura Mercier's Translucent Setting Powder in my makeup kit to properly set my makeup, preventing creasing and helping to make it last. TIP - if you're someone who travels often as I do, I appreciate that this powder comes in a travel-sized version. Perfect for makeup on-the-go. Did I mention that I have oily skin? I'm always on the lookout for products that will help my makeup last, and incorporating a setting spray into my routine is an absolute game-changer. 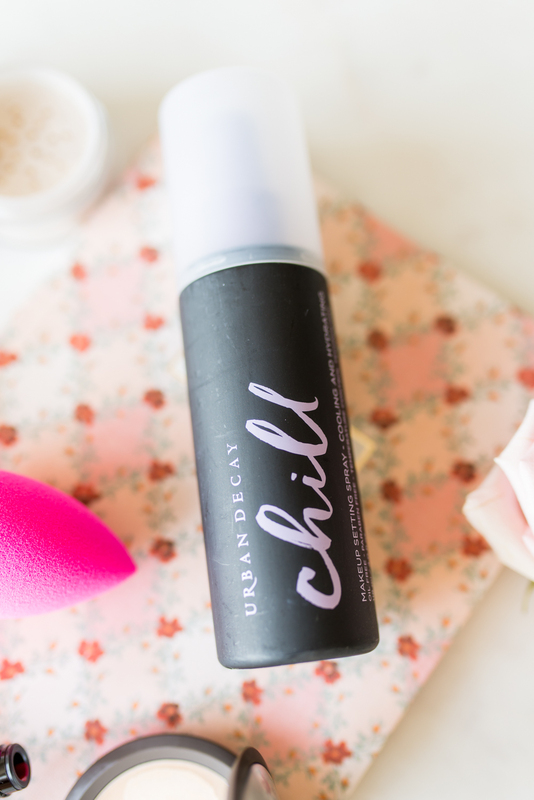 This Urban Decay Chill Setting Spray not only ensures that my makeup lasts all day, but it also doesn't irritate or dry out my skin. There isn't much that can make a statement quite like a bold lip colour. I love adding a dark hue on my lips to change up my look, or take my routine from day to night. The problem with darker lip colours though is that they can quickly fade or smudge, which is definitely not the look I go for. 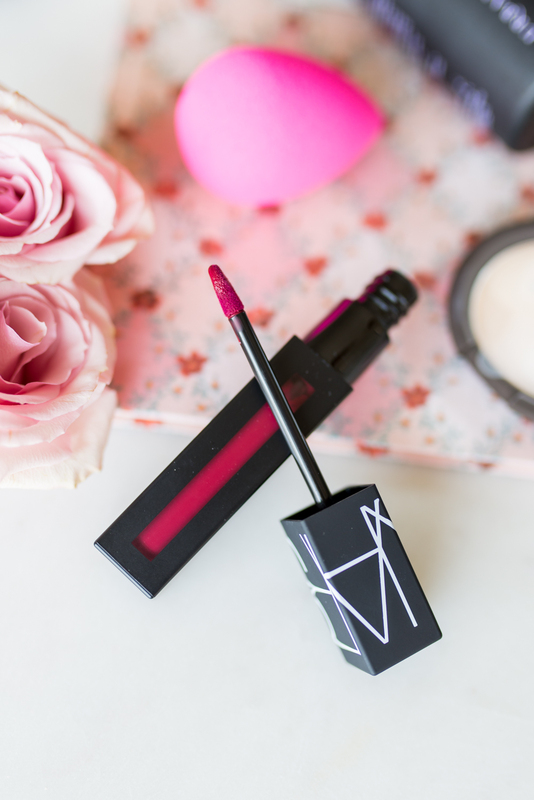 Finding a great long-lasting lipstick is crucial, and I've found the perfect one in the Nars Powermatte Lip Pigments. This liquid lipstick is so opaque, is comfortable on the lips and, once it dries down, does not budge. I know that this is a relatively new product from Nars, but it's quickly made its way onto my list of beauty essentials. If you're looking for a new, bold lip colour then I would definitely recommend giving the Nars Powermatte Lip Pigments a try. That's it for my makeup essentials! Have you tried any of these products? I would love to know what your makeup bag must-haves are. Let me know! This post was created in collaboration with Upper Canada. All thoughts and opinions are 100% my own.